The inaugural Ross Langdon Design for Sustainment Scholarship has been awarded to Harry Catterns. 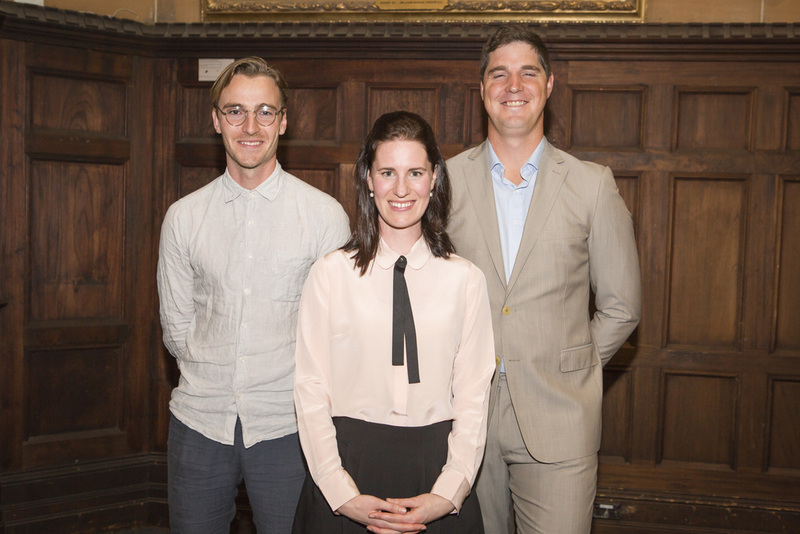 Craig & Amy traveled to Sydney to present the $2,000 cheque to Harry at the faculty's scholarships and prizes evening. Currently in his final semester, Harry was an energetic and passionate scholarship applicant. He has worked on sanitisation projects in PNG and has an ongoing interest to continue work and research in this area. We are thrilled to be able to support him at this stage of his emerging career and look forward to seeing what he achieves next. An excellent detailed article on designboom about the Ross Langdon Health Education Centre. Thanks designboom. Project of the Day: Thank-you Architizer for featuring the Ross Langdon Health Education Centre as your Project of the Day. Liter of Light: A great article touching on the use of recycled bottles to help create light in the Ross Langdon Health Education Centre. Thanks Inhabitat. The Ross Langdon Health Education Centre is currently being featured on archdaily.com. You can see more images, design details, sections & elevations in the article here. We are so grateful to Felix and his team for their continued work towards completing Ross' projects. Ross was working on 18 projects at the time of his death, this was one of them. We are happy to report that another of Ross’ designs has been recently completed. 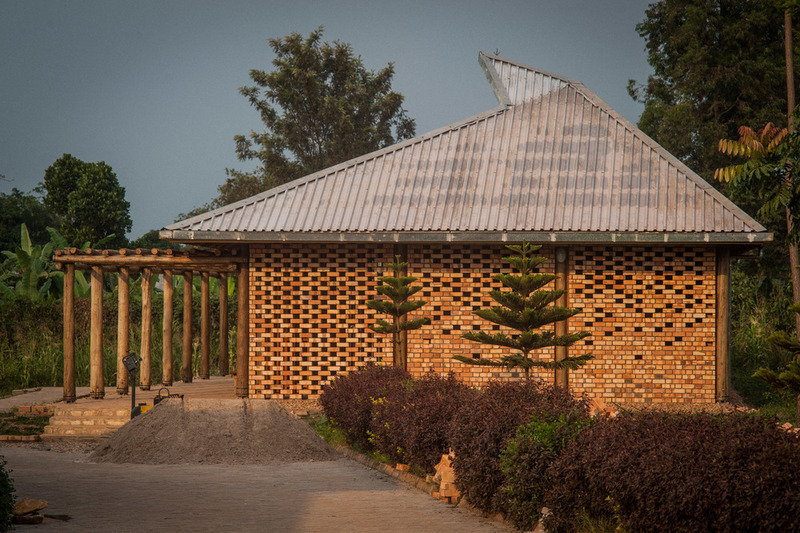 The ‘Ross Langdon Health Education Centre’ as it has been named is a small community hall located in the village of Mannya in Rakai, South-western Uganda. It provides space for about 150 people, sitting on simple clay tile steps, and for a speaker, standing on a small elevated platform. Adjacent to the hall is a room for private meetings and a store. At the front is a walkway covered by a pergola providing shade for informal gatherings and relaxation. 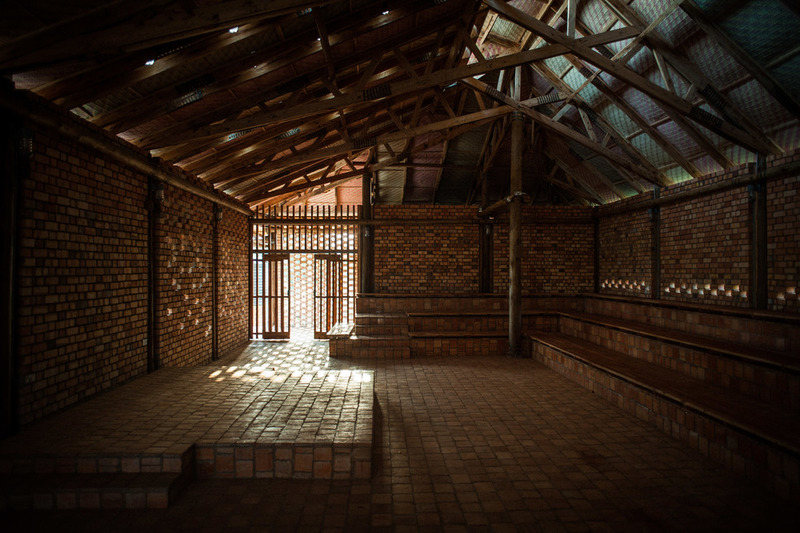 As good as we can tell in his absence, Ross envisioned the Health Education Centre as a small pavilion, entirely inward-looking and made of the most basic of building materials available in Southern Uganda: eucalyptus poles as the main structure with clay brick infills and clay tile floors. 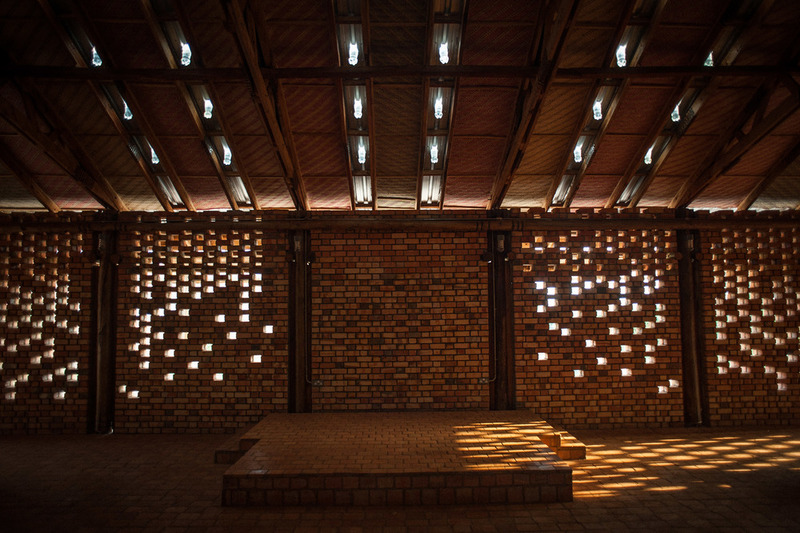 There are no windows, and instead the building envelop filters light in various ways; perforations in the brickwork, a gap between walls and roof, a high-level roof vent with skylight and the ‘Liters of Light’ that illuminate the stage. 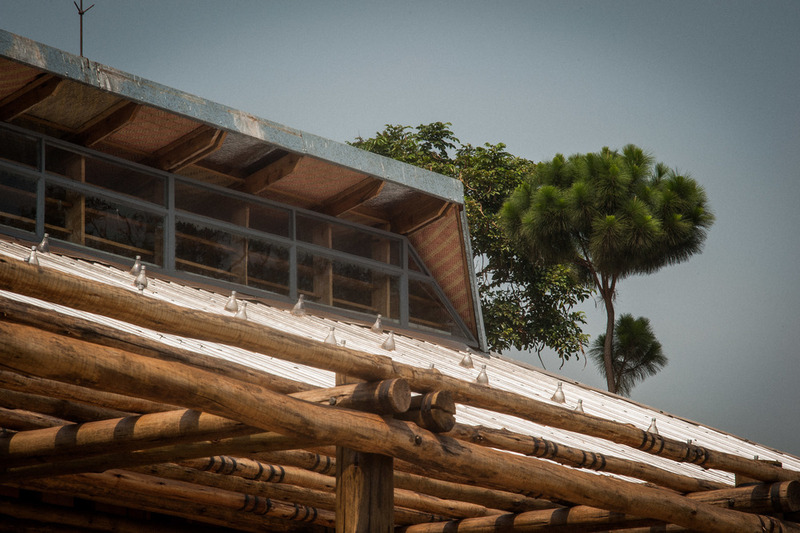 The roof cover is made of zinc-al roof sheets supported by Eucalyptus trusses, and the ceiling is made of purpose-designed handmade ‘Mukeka’ reed mats. Design and construction was a real team effort and not a straight-forward process at all. At the time of Ross’ death, the building was at schematic design stage, just about developed enough to be submitted for planning approval, but nowhere near ready to be priced and built. 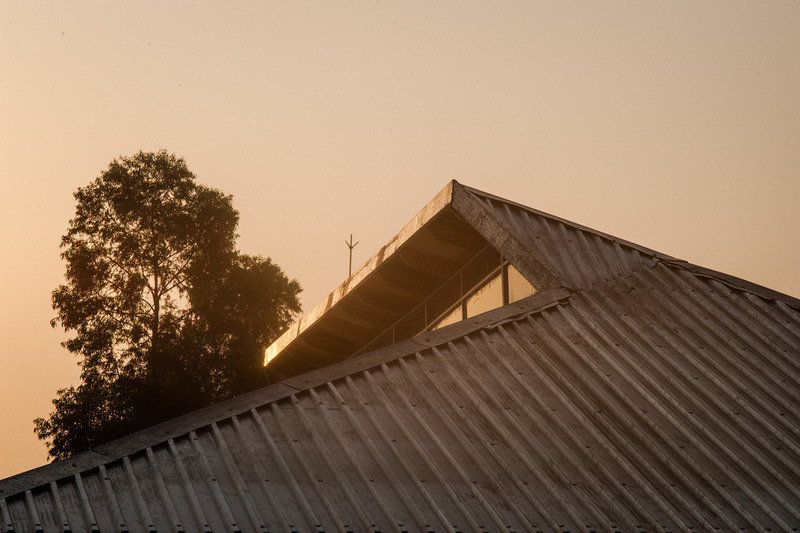 The design team led by Felix Holland of Studio FH Architects went ahead on a bit of a detective mission deciphering Ross’ design intentions, guessing at times and disagreeing at others, and finally realising a building that we hope does justice to his ideas and visions. Our thanks go to Tim Diamond of the Cotton On Foundation who was absolutely unwavering in his determination to complete the project in Ross’ memory, to his family who gives us great support in what we are doing, and finally to Ross himself for leaving behind this little gem of a building. 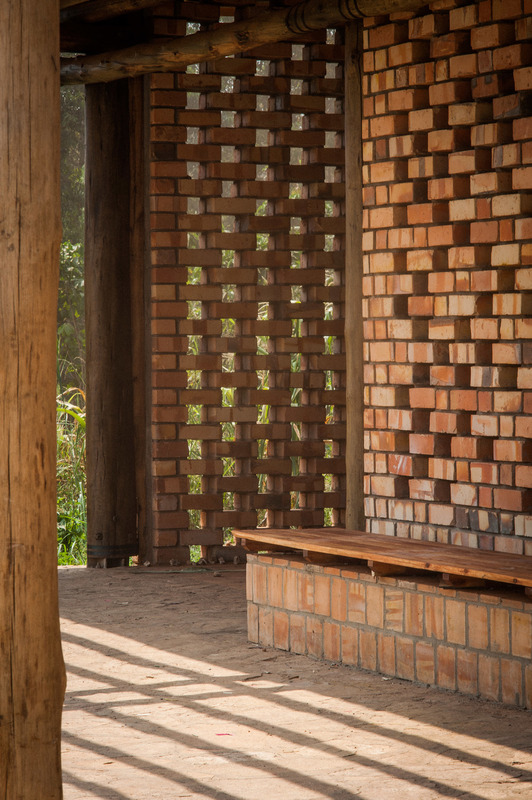 In the below article, Terrain Architects discuss Ross Langdon as their inspiration for their design methodology - developing a relationship with local communities and using local skills and materials. "We admire Ross Langdon. His way of thinking about the architect’s role in Africa and his contribution through architecture encourages us to be present." Ikko Kobayashi and Fumi Kashimura. Thank-you Ikko & Fumi for remembering Ross and pursuing such a valuable and interesting design practise. We are thrilled to announce the 2015 recipient of the Ross Langdon Creative Design and Art Award is Brianna Jeanneret from Tasman High School. The book, Architects' Houses: Twenty Australian Homes by Stephen Crafti. This book was chosen as it features the homes of both Drew Heath and Sam Marshall. Ross worked with Drew to finalise the design of his home which features in the book. Sam Marshall played a role in Ross' early career development in Sydney. Both Sam and Drew maintained friendships with Ross when he moved overseas to further his career. We wish Brianna all the best for the future. Congratulations!